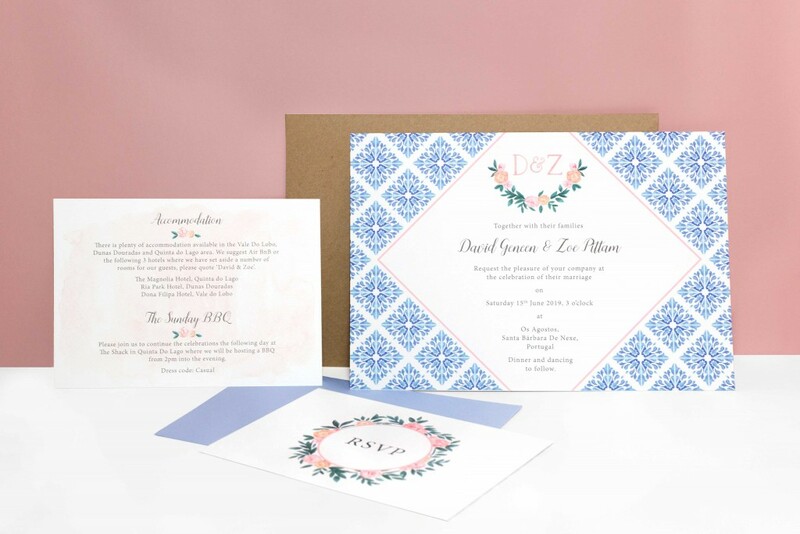 Click on the images below to see some of the bespoke stationery designs we have created for our lovely couples and then scroll down to find out more about how the process of bespoke design works. Our bespoke design package involves an initial consultation which can be in person if you’re London based, or over a Skype/phone call if you’re from further afield. If you have an idea of what you are after this is the perfect point to show us any Pinterest boards or images of inspiration you have. If you haven’t got a clue – fear not! 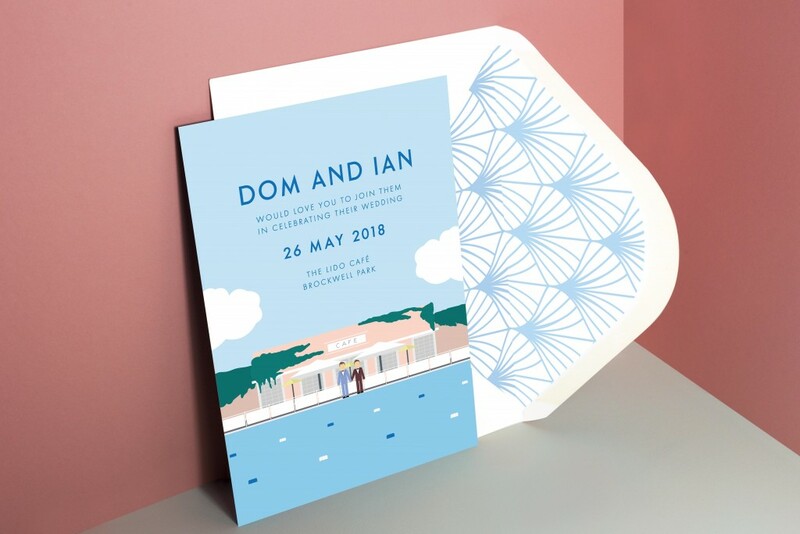 just come armed with images of other aspects of your wedding day such as your venue, clothing or flowers or images of general design that you both like such as patterns, colours, art or posters! Even if you think it’s a mash up of ideas – we promise that we (with our creative heads!) will be able to makes sense of it! From here we will then create mood boards for at least 3 different design styles based on the inspiration you showed us. You will then pick your favourite route from these for us to expand on. The next round of designs will be mock ups of potential layouts, fonts and patterns for your bespoke design. At this point we would let you know rough costs for the formats we have suggested. Once you have picked your favourite mock up and given us feed back on your thoughts, the next stage of designs will be created and these will be tweaked until you are both happy with the outcome. Once the final designs have been created you will have the chance to amend the text as you wish. We will then get your stationery printed and put together for you according to the format you have chose. The design assets created can then be used across any other stationery items you require such a menus, table plans, place names, order of services etc. These will be priced individually based on their complexity and printing techniques. 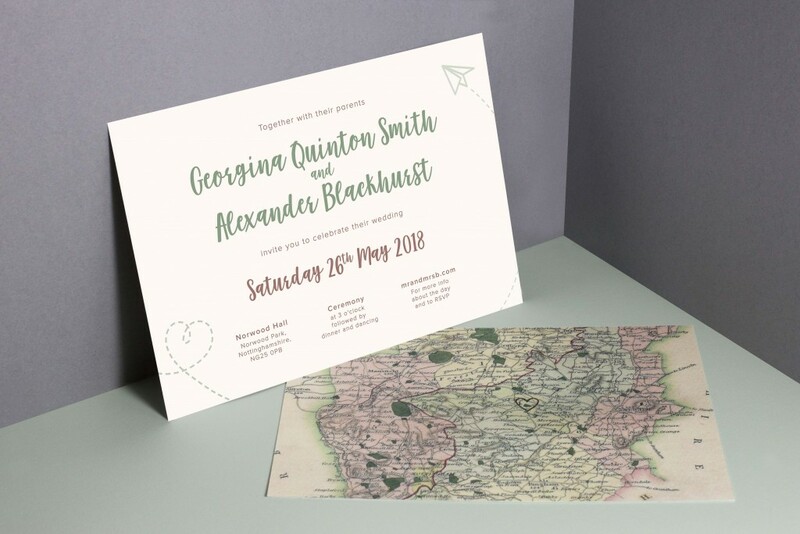 Some of our clients have already sent out save the dates when they come to us whereas others would like bespoke save the dates and invitations to match. 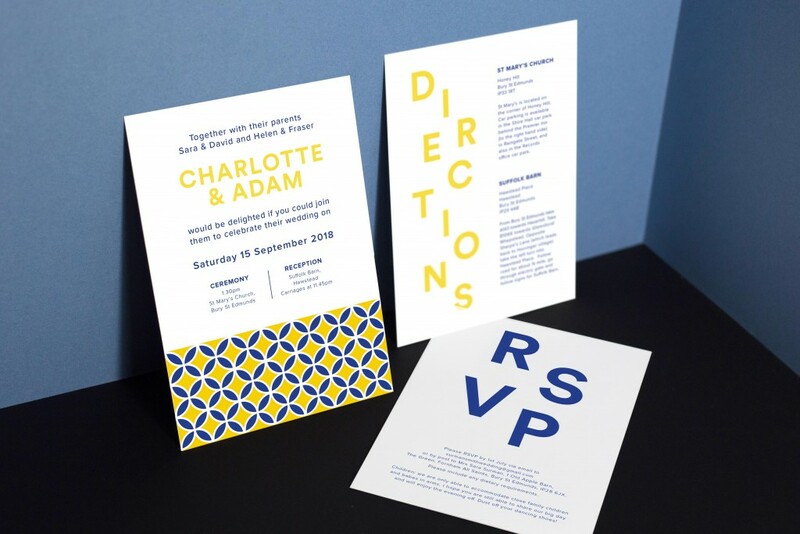 If you require save the dates as well as invitations, the initial mood boards and first round of mock ups will be created for both at the same time. 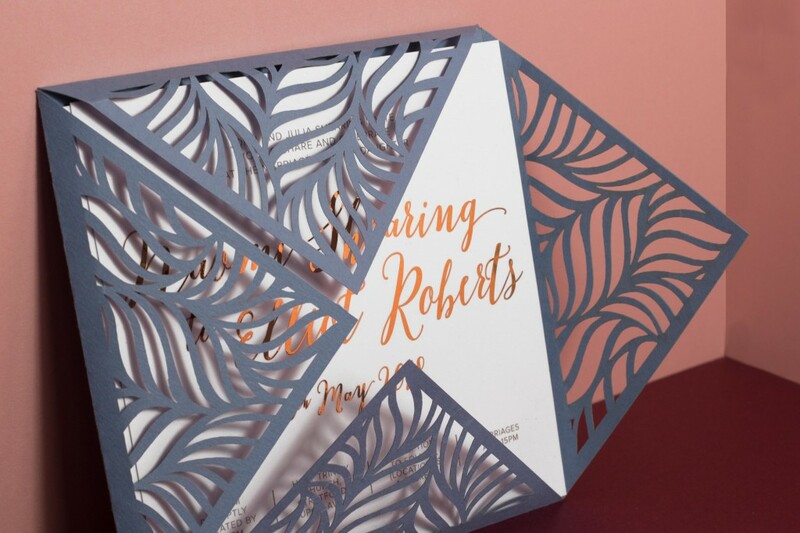 The save the dates will then continue to be designed and the invitations will be put to the side until you have a draft of the content you want to include, as the amount of information you have will affect the design. 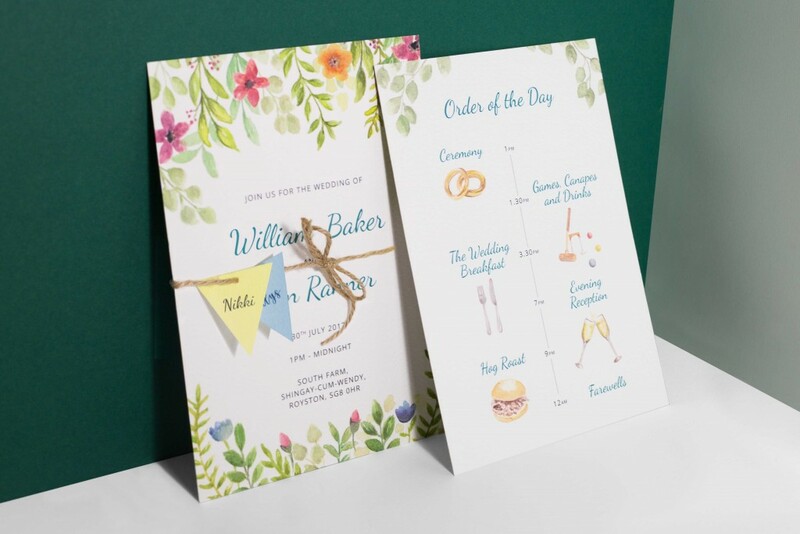 Bespoke stationery takes a minimum of 6 weeks to design from start to finish. If you require a quicker turn around time do get in touch and we will try and meet your needs. The 6 week timeline requires prompt feedback from yourselves at every stage. After the sign off of your final designs please allow 7-10 working days for your final stationery to be delivered.